Can Kokkinakis extend the poor Melbourne record of Gulbis? "After ending his 2014 season early due to a shoulder injury Gulbis' 2015 campaign was disrupted by a virus that reportedly had him bed-bound before his only match of the season so far..."
Play begins in the first major of the season on Monday in Melbourne and as ever I'm on the hunt for some potential round one upsets in the Australian Open Men's Singles. A year ago the first round here produced 15 underdog winners from the 64 opening round clashes, with the biggest priced winner being the [7.0] about Martin Klizan beating John Isner by way of retirement after two completed sets. One match where we could see a nicely-priced winner this year in a similar fashion to Klizan features an Italian clay-courter and an inconsistent Ukrainian. This one is purely based on the likelihood of Dolgo retiring, with the Ukrainian struggling at the moment with a recurrence of the knee injury that blighted his 2014 campaign. Dolgo picked up the injury in the final of the exhibition Kooyong Classic a few days ago and he may not even take to the court in this one, but will the lure of a juicy first round cheque mean we'll see a brief appearance from Dolgopolov? Hard to say, but it's worth taking a chance that Dolgo plays for a set at least with Lorenzi available to back at around the [3.0] mark to gain his first ever win at the Australian Open. This one should see the young Aussie be encouraged by a huge amount of home support and it could well carry the 18-year-old to victory over a struggling opponent. After ending his 2014 season early due to a shoulder injury Gulbis' 2015 campaign was disrupted by a virus that reportedly had him bed-bound before his only match of the season so far, which was a round one loss in Auckland to Jiri Vesely. The Latvian could have hoped for an easier and gentler introduction to the Open than a clash with Kokkinakis, who has already beaten Julien Benneteau in straight sets this year. Gulbis has a woeful record at this tournament as well, with just two wins here in his career and seven losses - the most recent being a hammering from Sam Querrey a year ago. Querrey also has a poor record here and that was a bad result for Gulbis, who has only ever beaten clay courters Albert Montanes and Juan Monaco at Melbourne Park. Kokkinakis will be very much up for this and if Gulbis is to win he may well have to fight rather harder than he is often prepared to do. The 18-year-old Ymer has got some decent judges in Sweden quite excited and he has every chance of extending the dreadful record of Soeda at the Japanese player's 'home slam'. Soeda doesn't enjoy his visits to Melbourne, with a 2-8 record in qualies and main draw matches at the Open and he was hardly impressive in his season-opener in Auckland when he squeezed past Jules Marie before losing to Donald Young. Ymer has qualified here in good style, with wins over Benoit Paire (6-0, 6-4), Jan Mertl and Hyeon Chung without dropping a set to any of them, and he also beat Igor Sijsling in Chennai before losing to Gilles Muller. Ymer has momentum on his side here and looks a lively underdog at around the [2.40] mark. Andujar struggles on quick outdoor hard - and indeed slow outdoor hard ¬- and in Copil he'll be facing a player who has a big game that should suit these lively Melbourne Park courts. Andujar has a 2-6 record at the Open and may well struggle to justify favouritism against the Romanian, who does tend to play his best on the bigger stages. Copil qualified by way of wins over Horacio Zeballos, Omar Jasika, and Philipp Petzschner and he's won six of his seven matches this season so far, with the exception being a tight loss to Sydney finalist Mikhail Kukushkin in Brisbane. The 24-year-old has wins over Joao Sousa, Marcel Granollers and Gills Simon in the last year or so in quick conditions and if he serves somewhere near his best Copil can win this. Andujar has a 1-12 record against the big servers on my database and this one has the feel of another early Melbourne loss for the Spaniard about it to me. How much has Kukushkin got left in the tank after looking out on his feet in the Sydney final on Saturday night and now he has to play his opening round match in Melbourne on Monday evening. Considering that Kukushkin played eight matches from qualies through to the final at the Apia International in a week this appears to be a tougher turnaround for a [1.33] shot than I would like, that's for sure. The Kazakh has the advantage of a 4-0 career lead over Jaziri, but the Tunisian will be by far the fresher and will have had much more time to prepare for this match, having played only once so far in 2015. Jaziri has switched things up this season by moving his base to Dubai and he says his goal is the top-50 this season. 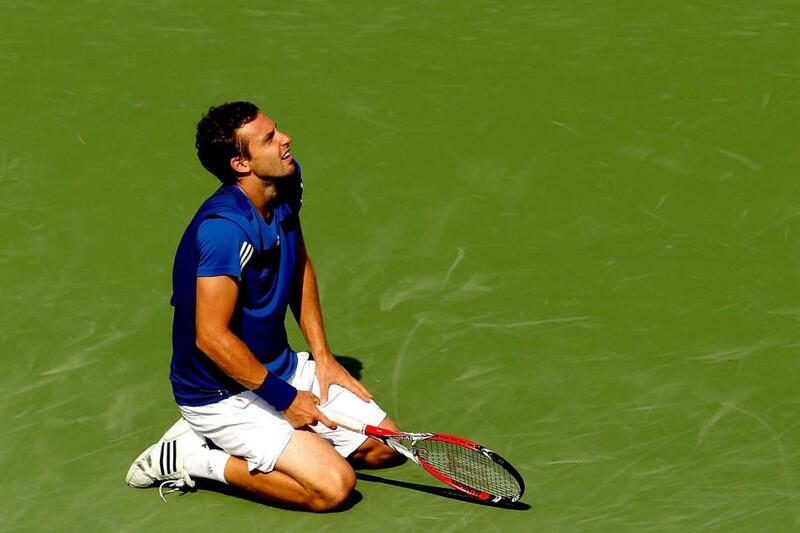 A good start to that objective would be beating an underprepared, tired and possibly injured Kukushkin as underdog. As ever there were many others that could have made this list, with Lucas Pouille, Borna Coric, Tim Puetz, and John Millman some of those that didn't quite make it and Rafa Nadal is no cert either if Mikhail Youzhny can fine some form.